Looking for other list building posts on this blog? Hey guys! If you own a blog or website, one of the biggest problems you’ll face would be people leaving your website and never coming back. The best way to build your list is to optimize your website for subscriptions. Why? So that you can email them and build a closer relationship. 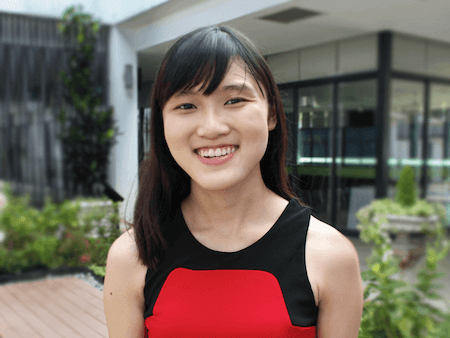 For me, getting more subscribers is one the biggest objectives of keeping my blog alive. Over time, I’ve discovered that some places are great places to insert opt-in boxes. Other places? Less so. 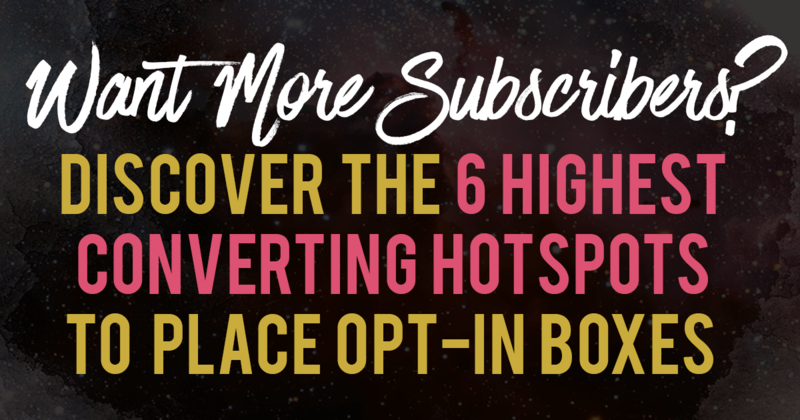 There are in fact a couple of “hot areas” in your website where you can optimize your website to get more subscribers by adding opt-in boxes. Feature boxes were brought into popularity by a guy from Social Triggers called Derek Halpern. If you go to my homepage, you’ll see a huge box at the top where my readers are given an opportunity to subscribe to my email list to become a subscriber. Some may choose to join my list because they want my lead magnet. A feature box is at the top of your website, where you have this box to collect emails. As you can see in the picture below, my readers can just click on the feature box, and they will be invited to join my list. It’s a good way to get more subscribers. People who randomly visit your website will end up being your subscriber and joining my list. My feature box has the highest conversion rate out of all my opt-in boxes. Place opt-in boxes at your about page, like me! If you read my tutorial how to write the perfect about me page, you’ll know that you should place opt-in boxes abundantly on your about page. Why so? Most people will read your about page if they are interested in what you do. If you look at my sidebar, I have an option for people to get blog updates. Placing an opt-in there ensures that readers who are looking at my sidebar will have an opportunity to subscribe to my email list. 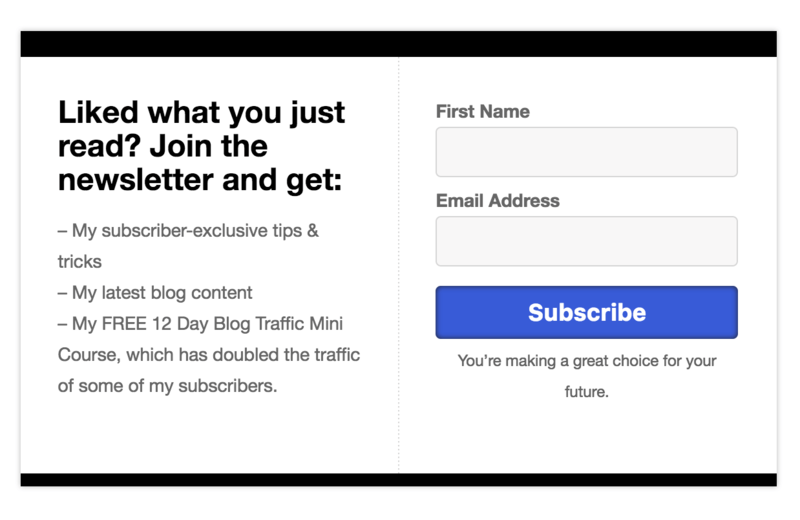 With opt-in boxes peppered all over my blog, you’ll be surprised by the number of people asking me HOW to subscribe, as if it isn’t obvious enough. 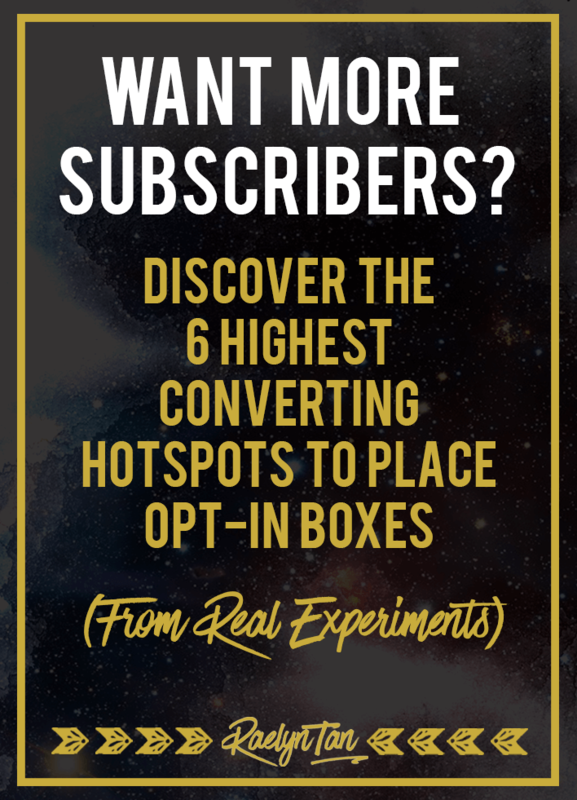 You’ll be surprised how people can’t find your opt-in box even when they are looking for it! As a blogger, it is your responsibility to ensure that everyone who wants to subscribe can find an opt-in box conveniently. Placing one in your sidebar ensures that they find their way to it. Here’s how my opt-in box looks like at the end of each post! When people read your free content and they like it, they will be more willing to sign up for your list. These readers (who’ve read your posts) have already been “warmed up” by your content and are more likely to want to hear from the awesome you. I like this very much because it is a non-pushy way of getting people to join your list – after they’ve received great value from you. 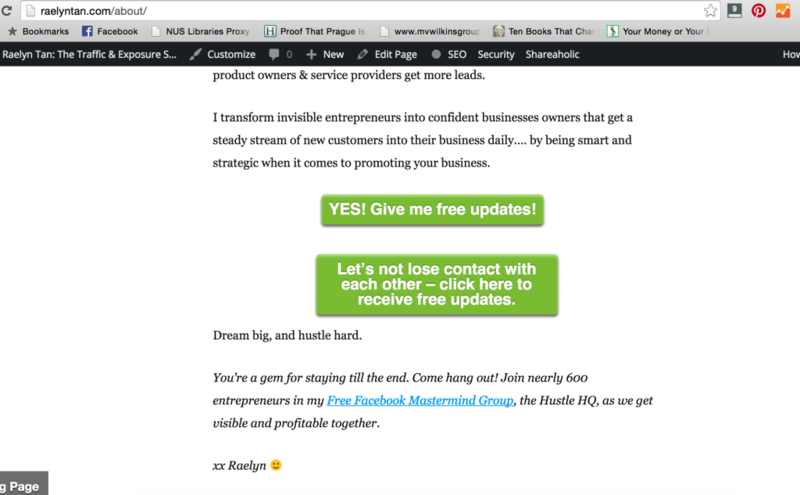 Add a link in your navigational menu that points to a landing page collecting emails. The navigational menu is a really quick and convenient way for people who are looking to join your list to just click on a link at your menu that’ll direct them to an opt-in page to collect their email. 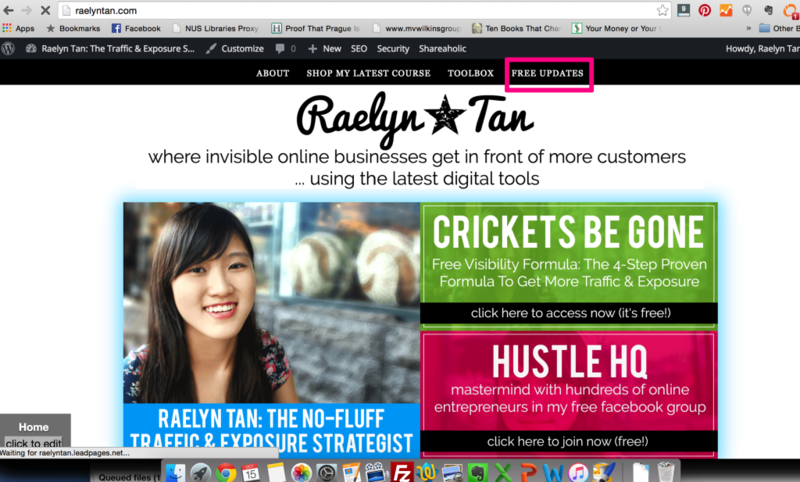 When people click on “free updates,” they’ll be prompted to join my list. 6. And of Course, Don’t Forget the Trusty Pop-up. I use Pop Up Ally, which is 100% free! I can show you how my pop-up currently looks like (see above screenshot). It works from my experience. After my feature box (see no.1), my pop up converts the second highest. Check out my pop up – it’s really cute! 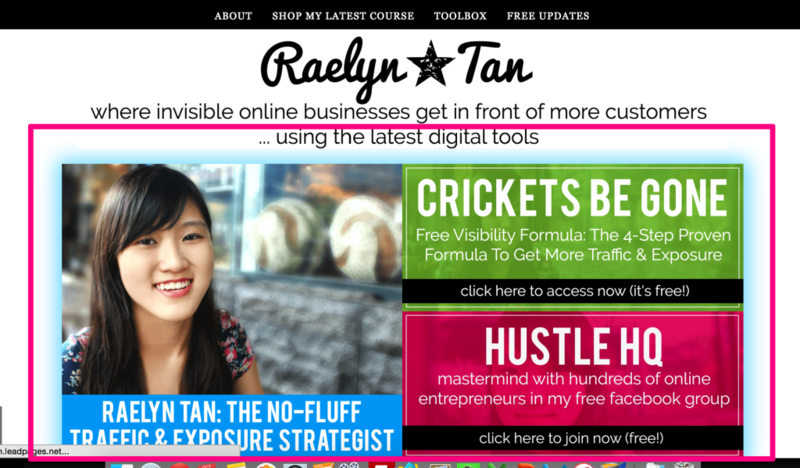 It’s a basic but clean pop up that people can use to opt-in to my site. Do include a pop-up, hopefully with something useful for your customers or potential customers. Now – Start Converting and Get More Subscribers! There are other places, of course, but from my experience, they aren’t as effective as these 6 places that I’ve mentioned. 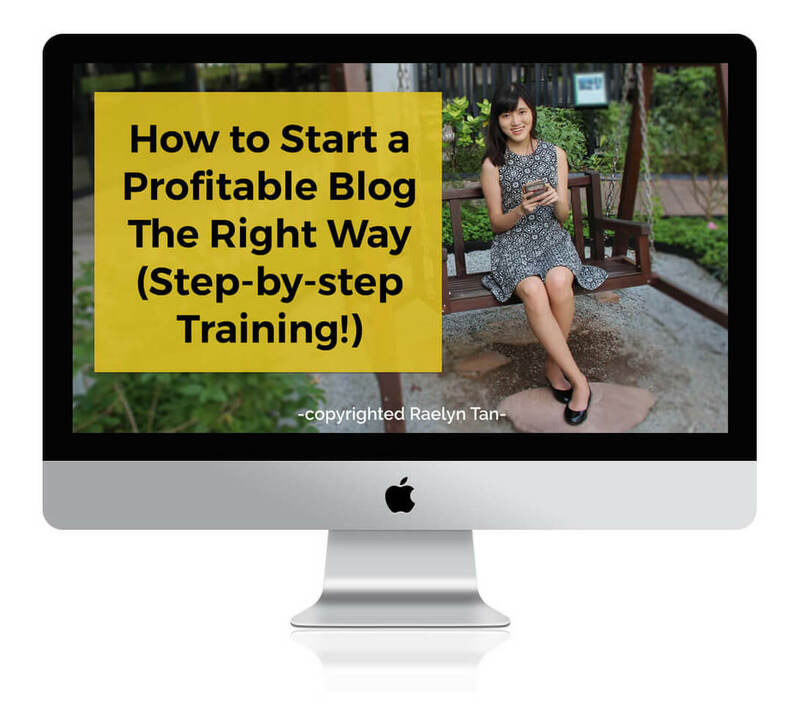 I hope this has been useful and have given you ideas on how to convert your website into a subscriber magnet. Don’t let your traffic go to waste! You’ve worked real hard to get people to visit your website, convert them into a subscriber so that they will keep coming back!